How do I make a two column minisection in my latex document where the left hand column would be an image and the right hand column would be some accompanying text? The mulitcol package will do the trick for you. Here is the short text that accompanies my figure. This is shown without horizontal gaps, but they would be easy enough to insert. Here is the long text that accompanies my figure. Not the answer you're looking for? Browse other questions tagged two-column or ask your own question. How to insert an image into a two-column document such that the text flows from TL, BL, TR and finally BR? 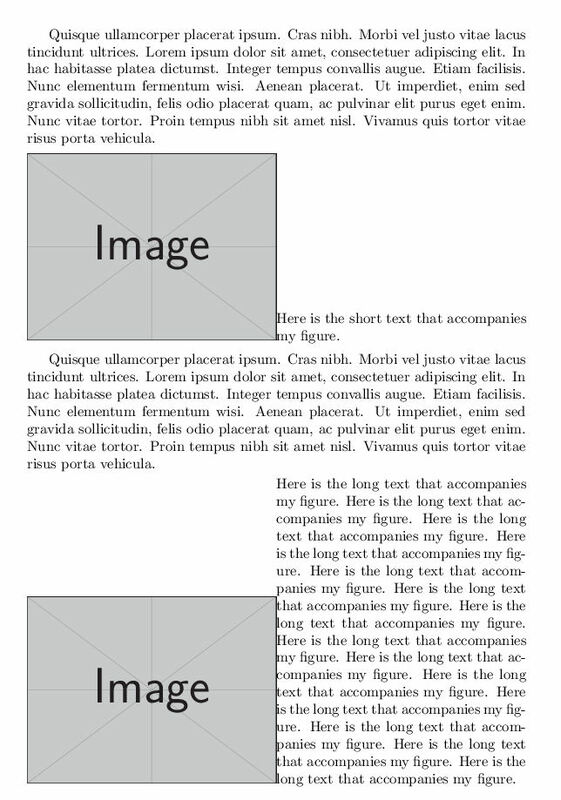 Centering an image and a two-column layout.